Calcium is one of the most important minerals in the human body. It helps support and maintain bone strength and health, but many people may not get the daily recommended value from their daily diets. 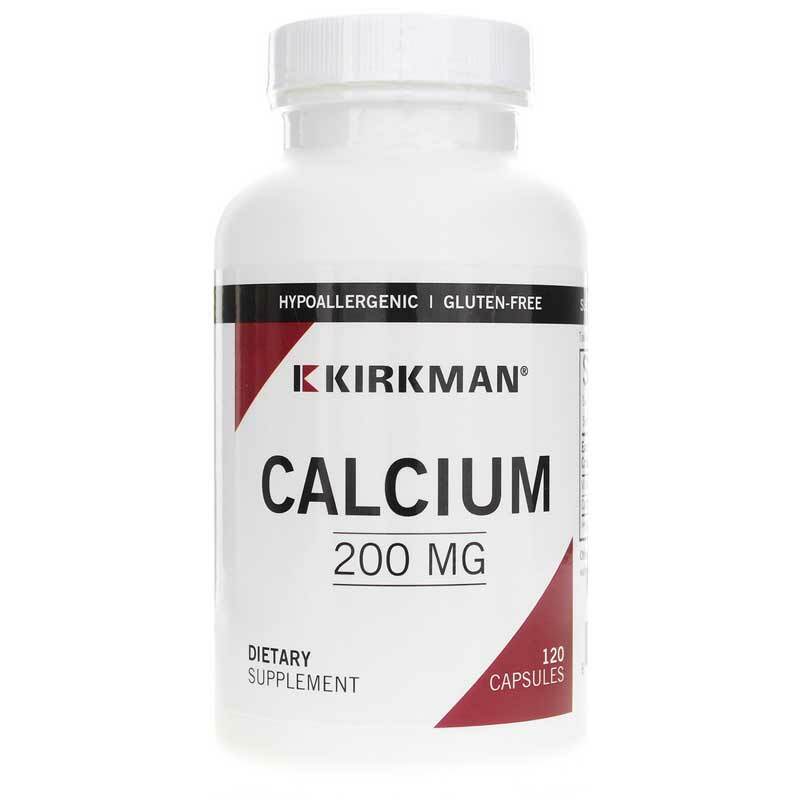 Kirkman offers a product called Calcium 200mg, a dietary supplement from their Bio-Max Series that offers calcium and vitamin D3 to support your bones. Calcium plays an essential part in your overall health and wellness. 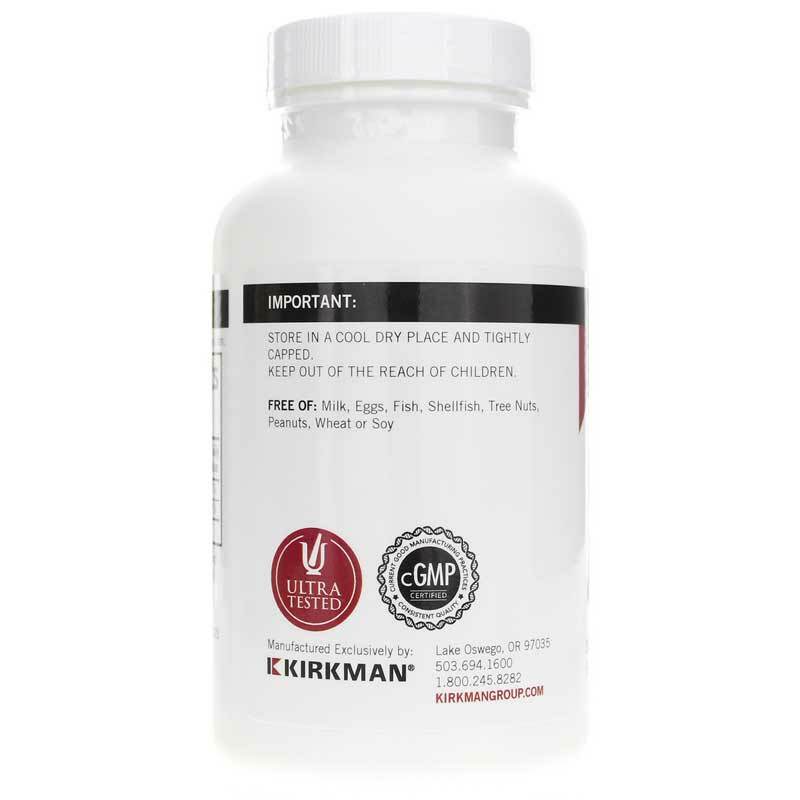 Give Calcium 200mg from Kirkman a try today, and see the difference it may be able to make for you. Order now! Ingredients: Calcium Chelate, Sodium Starch Glycolate, Magnesium Stearate, Vitamin D-3, Plant Cellulose Capsule. Contains NO: Sugar, soy, wheat, casein, gluten, milk, egg, preservatives, yeast, gelatin, flavorings, colorings, peanuts, tree nuts or fish. 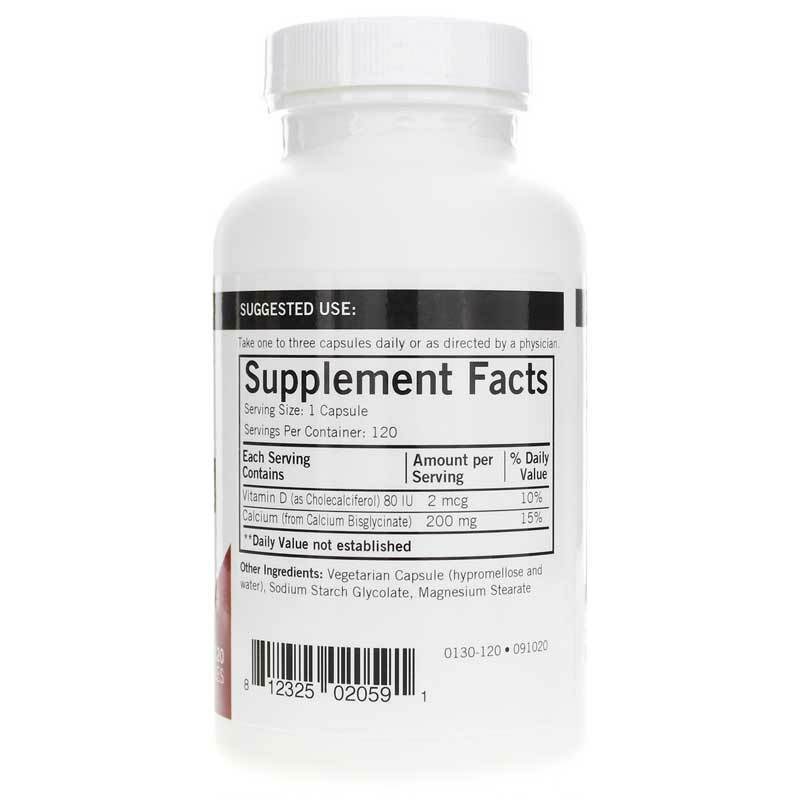 Adults: 1-3 capsules daily or as directed by a physician.